Throughout the year I took photographs of the Magnolia in our front yard — subtle changes. 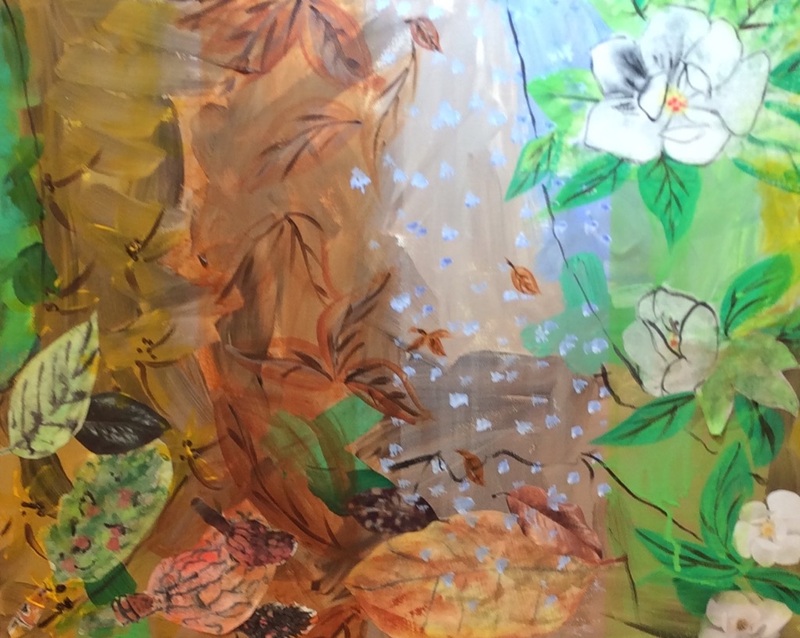 The canvas is divided into 4 sections: summer, fall, winter, and spring. Each season brings a new appearance – from dark green leaves, to brown mottled leaves and pods laden with red seeds, to a wintry beauty with snow on the leaves, and lastly the spring celebration with huge white magnolia flowers.